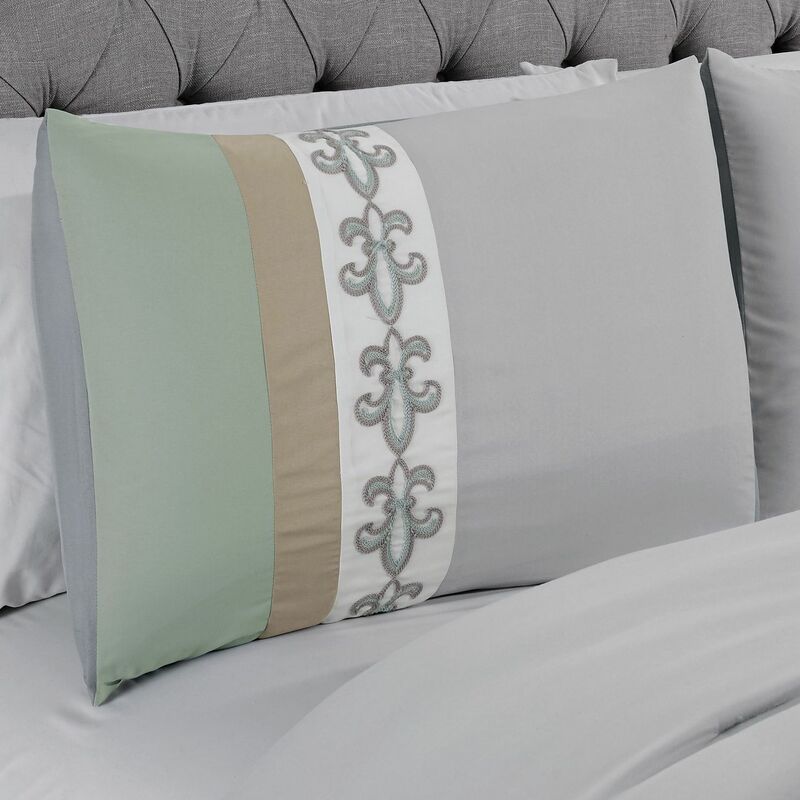 Give your bedroom a serene appeal with this Osier comforter set. 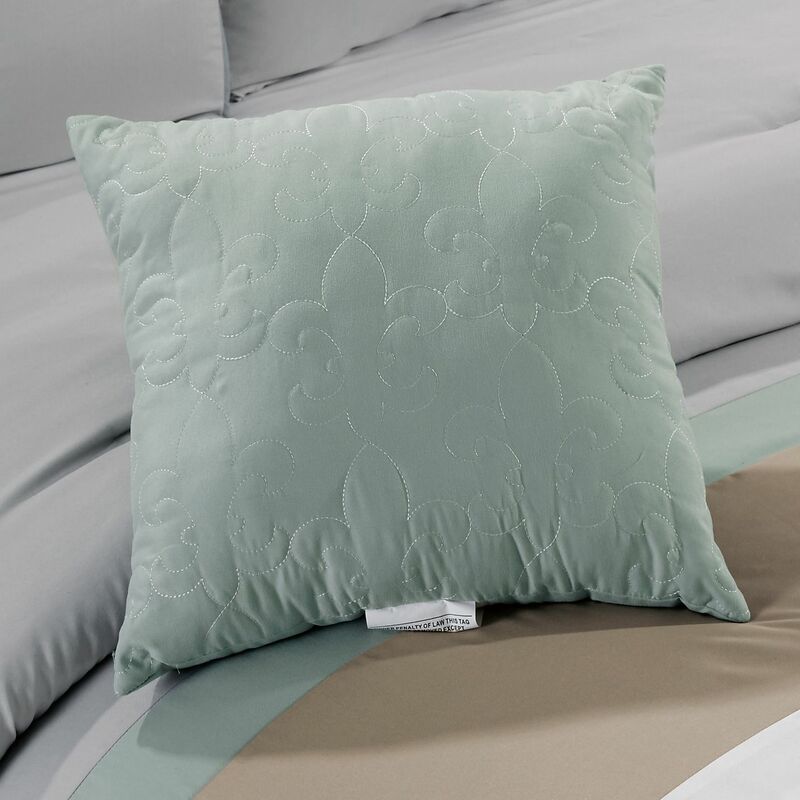 It features scroll floral embroidery with quilted borders and pleating details to create a soothing look. 3 decorative pillows included.